The long(ish) awaited and much publicised Summer House near Dore and Totley train station has opened this month. I popped in earlier this week for a coffee with a friend, which gave me a chance to check out the menu. Folks, the initial reports are looking rather good if you’re a coeliac. 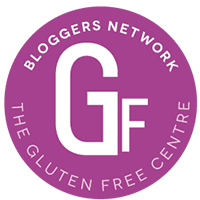 There is a rather good choice of gluten free food on the menu (yes – actually on the menu!) including cooked breakfasts, carpaccio, risotto, moules frites, hanging kebabs and tempura fish. Most of their sides are gluten free, such as sweet potato fries and coleslaw. They also do some delicious dessert cocktails, such as hubby’s favourite, the Espresso Martini. We’re looking forward to trying those. Thanks to the Summer House for providing me with their logo. Previous post ← What’s with cornflour?